Kerala university PG Trial Allotment 2018 will be published soon. 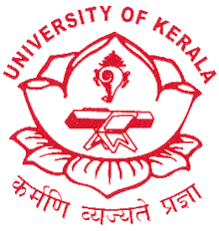 The Kerala university PG trial allotment for admission to PG courses (MA, Msc, MCom) result will be published on university admission portal www.admissions.keralauniversity.ac.in. The candidates can check their trial allotment result from the website. After the trial allotment, candidates who likes to make an option rearrangement can login to the website by using their application number and password. Kerala University PG Trial allotment 2018 : Trial allotment result is a list of candidates who are getting a chance to include in the first allotment list for PG admission 2018. After the trial allotment list is published, the candidates can make changes in their selected options. The university will then publish the PG 2018 first allotment list in the website www.cuonline.ac.in . The PG 2018 applied candidates can follow these steps to check the Kerala University PG trial allotment result from the official web site. The first allotment list will be the list of candidates who are selected for sure admission for the seats in various colleges under the university of Kerala in the 2018 year.